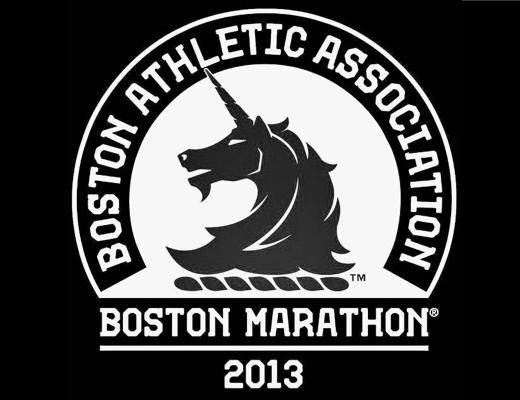 The Monday Morning Run is a day later to accommodate the Boston Marathon. Boston alone would have been enough to discuss, but there are also results from the track and the surprise announcement of Eugene hosting the 2021 World Championships. I’ll touch on those topics more in the weeks to come. For now, Boston is the focus. Let’s run through 26 takeaways from the race. 1) Lelisa Desisa was a surprise winner only because this was his third marathon since November. The field was without a favorite, but Desisa was the only runner who had a major marathon win, a personal best under 2:06 and recent success in the marathon. 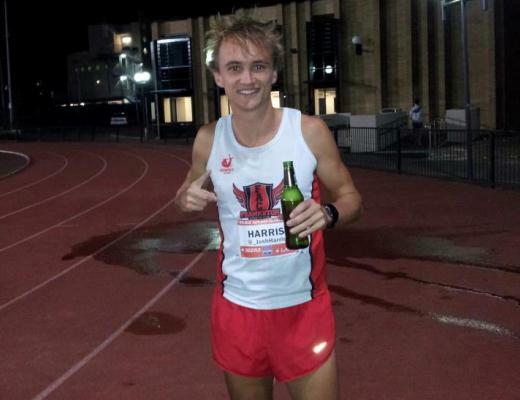 Other than his DNF last year, he is rock solid in marathons–second in New York City, second at the World Championships and now two wins in Boston. 2) Before we get too carried away about Desisa, remember that most of the best men in the world are running Sunday in London. Boston’s field this year wasn’t that deep. The pre-meet press releases touted former world record holders Patrick Makau and 2012 Olympic silver medalist, Abel Kirui. Neither man finished the race and Makau dropped out after 5K. The rest of the elite field was strong, but beatable. 3) Credit to Desisa for recovering from the destruction Wilson Kipsang laid on him in Central Park. For most, this moment would stay in your psyche for a long time. 4) Dathan Ritzenhein was the best American man, crossing the line in 7th. His final position fit in with pre-race predictions, but the way he ended up there was a bit unpredictable. He did a fair share of leading and stayed with the main pack longer than I anticipated. Even when he was dropped he rallied and held his spot in the top ten. I’m not sure if Ritzenhein is going to run a fall marathon or if this is his last race before the Trials. Either way, he is no worse than the second best American marathoner at the moment. 5) While Ritzenhein was getting the attention up front, Meb Keflezighi was also running with the pack. This was interesting partly because Meb was the defending champion and leading a large pack of runners doesn’t usually foreshadow a good finish. Regardless, Meb hung with the leaders longer than Ritzenhein before eventually dropping back when Desisa and company made their final push. Meb finished up with a few miles north of 5:30 because he had to stop five times to throw up. And only in the marathon is stopping to puke a promising sign for your future in the sport. Let me explain. Even if Meb ran 2:20 and finished 40th I wouldn’t have said his career is done. But his eighth place finish looks a little better if it was caused by a fueling/stomach issue rather than his legs giving out. Meb was three minutes off Desisa’s pace today and over a minute behind Ritzenhein, yet he continues to be competitive in all of his races. You’ve come to a pretty good place when you have to stop several times and still finish eighth in a major marathon. 6) Reminder, even when Meb doesn’t win he still wins. 7) I didn’t see anyone predict a Caroline Rotich victory. She had the 9th best PR in the women’s field and she has never finished higher than fourth in a major marathon. If she were a bit older, I would call her performance Meb-like. The modest pace on Monday kept the group together late into the race and Rotich and Mare Dibaba were in lockstep over the final miles. Rotich finally broke free with 100 meters remaining and ended up winning by four seconds. Before Monday, her only marathon wins came in Prague and Las Vegas. 8) For the Americans, Desiree Linden was the biggest surprise. She ran her best race since 2011, finishing a competitive fourth place. Like Ritzenhein, it was the way she ran that told the whole story. Linden led for a good portion of the race and there was a moment when it looked like she could win the whole thing. As unforgiving as the marathon is, it also leaves room for redemption. Last fall at the Chicago Marathon, Amy Cragg (then Amy Hastings) bounced back from a difficult couple of years to finish fifth. On Monday, it was Linden who had a throwback performance that looked awfully similar to when she was two seconds away from making history four years ago in Boston. 9) Could Mare Dibaba have sprinted with Rotich if she hadn’t run the Xiamen Marathon in January? Tough to tell. Either way, 2:19:52 and then a runner-up finish in Boston is a good way to begin the year. 10) Yemane Tsegay ran 2:09:48 to finish runner-up to Desisa. In his last marathon he only placed fourth in the Honolulu Marathon. Marathons don’t make sense. 11) The weather, tactics and course make predicting the finishing time difficult. Both the men’s and women’s times were slow, but it didn’t matter. I’m not sure anyone paid too much attention to the time, especially when there were Americans at the front of the pack. The best part about not having pacemakers in marathons (and there are many reasons) is you have no idea how the race will unfold. Take the last two years of the men’s race. 2014 was a essentially a one man breakaway that turned into a nailbiter. This year, it was a group of 8-10 that slowly trimmed down until two men remained. Both races were exciting and unpredictable. Both would have been lessened with the presence of pacers. 12) With each passing marathon, we are inching closer to the selection of the Kenyan and Ethiopian Olympic teams. Since they don’t have a formal qualifying race to pick the top three, or at least they didn’t in 2012, their selections will be especially interesting. It’s hard to imagine Ethiopia screwing it up worse than they did with their men’s team in 2012, but who knows. The Kenyan men’s team looks almost settled with Dennis Kimetto and Wilson Kipsang. The third spot is open and I’m sure will be greatly impacted by the results from London. 13) Speaking of Trials, there were no major shake-ups in the American pecking order. If you want to put Ritzenhein ahead of Meb or Linden ahead of Flanagan, I’m not going to put up too much of an argument. Even though Amy Cragg didn’t finish, I still think she is the safest pick for third. Matt Tegenkamp was the third American man on Monday and only finished 1:10 behind Meb. That’s a good result and keeps him in the mix for the final spot to Rio. 14) I think Ritzenhein was leading at the time this graphic popped up. Does he get credit for the 12:05 5K? 15) I followed the race mostly online which is an interesting experience because the instant reactions don’t necessarily hold up in an event that last over two hours. When Ritzenhein and Linden were leading the excitement reverberate through Twitter if such a thing is possible. So much so that normally rational people forgot that how quickly positions change in a marathon. Or maybe they knew that, and they wanted to get excited anyway. Nevermind, I’ll stop being the fan police. 16) Zersenay Tadese underperformed. Copy and paste this sentence for easy use in the future. 17) Shalane Flanagan wasn’t in her usual place at the front of the pack in the early miles. This could have been interpreted as a smart tactical move, or a sign that she didn’t have it on Monday. It turned out to be the latter. She lost contact with the leaders and placed ninth, more than two minutes behind Linden and almost three minutes behind Rotich. She’s never lost to Linden during her career, so if Flanagan was her normal self there is good reason to think she could have been in the top three. I don’t think tactics impacted her final position on Monday. It looked like just an off-day, which is unfortunate for her because this was winnable race. 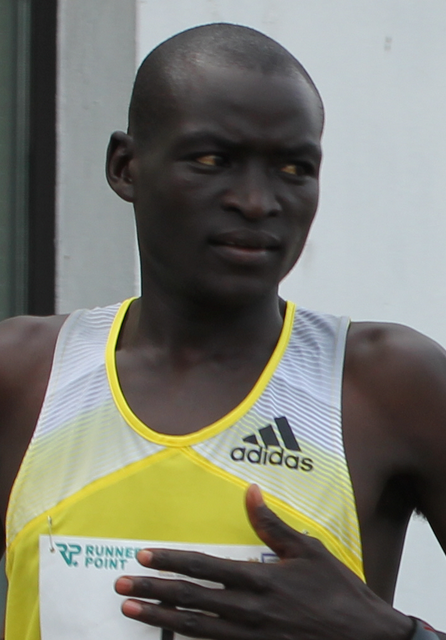 18) Buzunesh Deba missed out on the Boylston Street sprint and finished third. Her career finishes in major marathons now includes three runner-ups and one third place finish. She’s getting close to Emmanuel Mutai range. 19) What a difference no Rita Jeptoo makes. The women’s race was much more competitive this year. The weather and the rhythms of the race also contributed to the tight knit group, but the field was also much more balanced without the presence of Jeptoo. It’s almost like doping makes you better than other people. 20) Both Mare Dibaba and Lelisa Desisa ran marathons last fall in addition to a winter marathon in January. The three marathons a year schedule is making a comeback, especially with the proliferation of big money races. It didn’t work well for Kenenisa Bekele, who withdrew from London after dropping out in Dubai. Others, like Desisa and Dibaba, don’t seem affected by the extra race. 21) I couldn’t watch most of the race live, but co-host Jason raved about the use of split screen during the broadcast. With two competitive races, this was the perfect opportunity to feature both competitions simultaneously. 22) This might be the last we see of the top Americans until the Olympic Trials. Many have floated the idea of a fall marathon though that decision will become more difficult as the year progresses. Many will decide to err on the side of caution and skip the fall to stay fresh for early 2016. I’m preemptively bummed to not see the usual cast of Americans race in Chicago and New York City. 23) As close as the men’s pack was, the winning margin this year (31 seconds) was much larger than last year (11 seconds). The top five spread was also smaller last year, 1:13 to 1:32. The Jeptoo effect skewed the margins in 2014 for the women. On Monday, the first seven were within two minutes and the top four were within 45 seconds. 24) Caroline Rotich looked like she was shot out of a cannon in the final meters. Sometimes saying sprint finish is misleading in a marathon, but she looked really powerful when she blew past Dibaba and burst through the finish line. 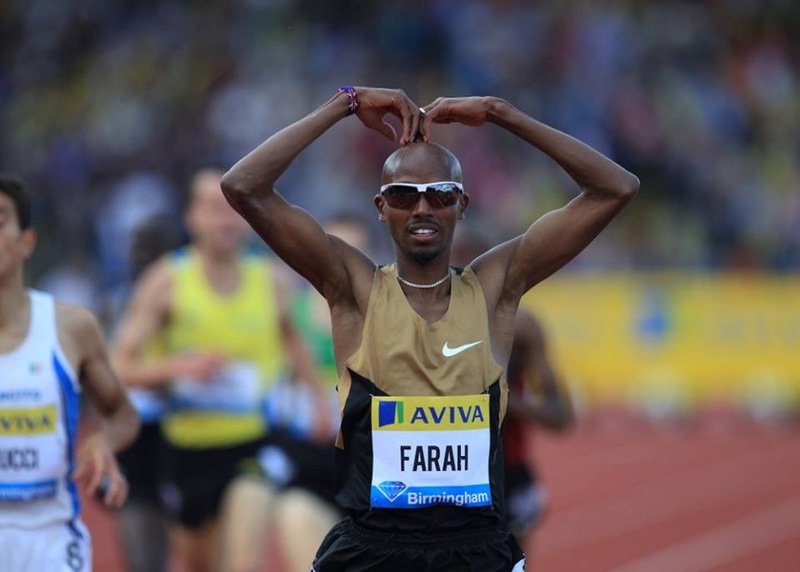 25) Ethiopia went 1-2-9 in the men’s race and 2-3-7-8 in the women’s. Kenya men placed 3-4-5-6 and the women were 1-5-6-10. The US was the best of the rest with the men going 7,8,11 and the women finishing 4-9-13. We dare the Ethiopians to try as in London!